Kylie Jenner and Tyga have broken up for good with their relationship hitting the rocks just a few days before the Met Ball was held on May 2, according to TMZ. According to TMZ, the couple's two-year on/off romance hit the rocks just a few days before the Met Gala was held on May 2 at the Metropolitan Museum of Art in New York City. Both Kylie and Tyga attended the star-studded event but did not walk the red carpet together at the 'Keeping Up with the Kardashians' star's insistence, however, there were seen hanging out at the Balmain after-party. After the "acrimonious" break-up, Kylie is said to have been angry that Tyga still took up his invitation to the Met Gala, something he only received because of his association with her. Although the lovers have separated before this time sources close to the situation say there is "no going back". Kylie, 18, has not posted any photos of Tyga, 26, on her Instagram account since last month's Coachella festival in Indio, California. Since the split, the 'Pleazer' rapper took an unnamed model to lunch with him and his mum to celebrate Mother's Day in the US. 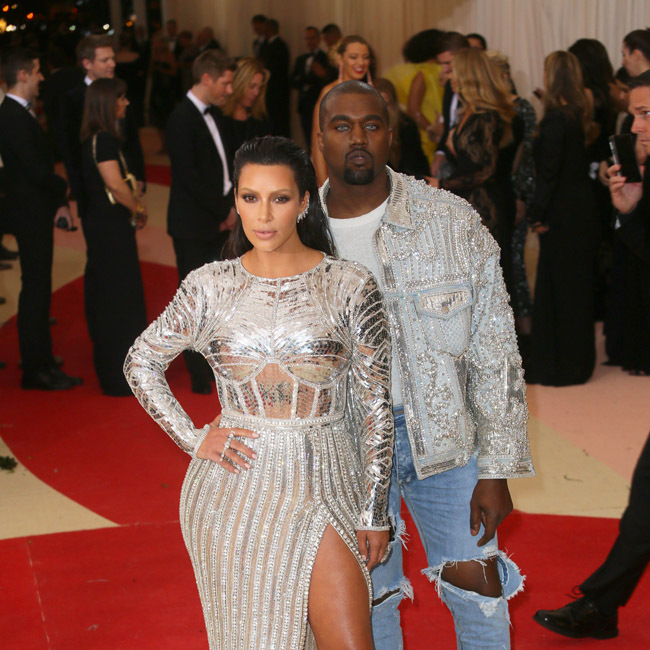 Ironically, it was at the 2015 Met Gala where the pair made their rumoured relationship public. They were first romantically linked in 2014 and at the event in 2015 they flaunted their love for another at the main bash and at an after-party held at the Up & Down nightclub in New York City. Even if this split is final, Tyga will still be connected to the Kardashian/Jenner clan because he has three-year-old son King Cairo with his ex-fiancée Blac Chyna who is now engaged to Kylie's half-brother Rob Kardashian. The love-up couple are also expecting a baby together. Kim Kardashian West will receive the first ever Break the Internet accolade at the upcoming Webby Awards. The 35-year-old reality star - who has 69.6 million Instagram followers, 45 million Twitter followers, and a hugely successful mobile game, 'Kim Kardashians: Hollywood' - will be the first-ever recipient of the accolade at the annual Webby Awards on May 16 in recognition of her "bold and creative" use of online platforms. Announcing the honour, Webby organisers said: "[The award is given] in recognition of her unprecedented success online and the bold and creative ways she has used the Internet, social media, apps and video to connect with a truly global audience." 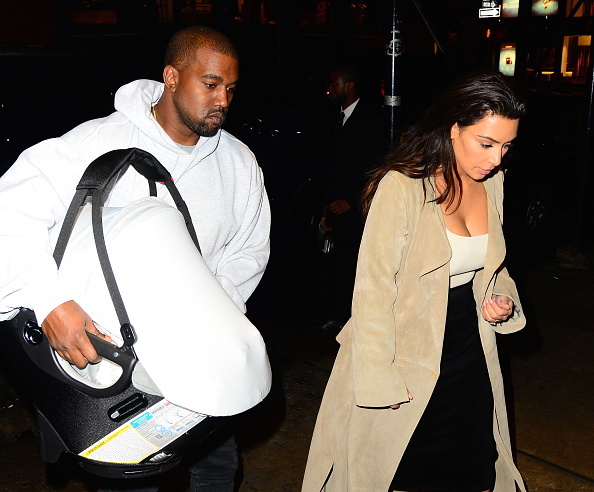 Kim - who has children North, two, and Saint, five months, with husband Kanye West - is expected to receive her Webb from tech legend and Re/code founder Kara Swisher. The 'Keeping Up With the Kardashians' star joins her husband in being recognised at the awards, which have previously been described as the "Oscars of the Internet". As was previously announced, Kanye, 38, will be named Webby Artist of the Year at the upcoming ceremony, which will take place at New York's Cipriani Wall Street, in recognition of the record-breaking streaming release of his latest album 'The Life of Pablo'. The record was streamed 250 million times via Tidal in its first 10 days of release and later became the first album to top the Billboard 200 off of mostly streaming-equivalent LPs. His award was announced at the same time as Webby Best Actress winner Krysten Ritter, who has been honoured because of her role in Netflix original series 'Marvel's Jessica Jones'. Webby Awards' Executive Director David-Michel Davies said in a statement last week: "Kanye West and Krysten Ritter are two standouts who have successfully leveraged the immense influence and addictive elements of streaming media to drive innovation on the Internet." Other winners at the 2016 Webby Awards will include Lena Dunham and Jennifer Konner, whose Lenny Letter newsletter has earned them a Special Achievement Prize, and HBO drama 'Game of Thrones', which will pick up Best Overall Social Presence. 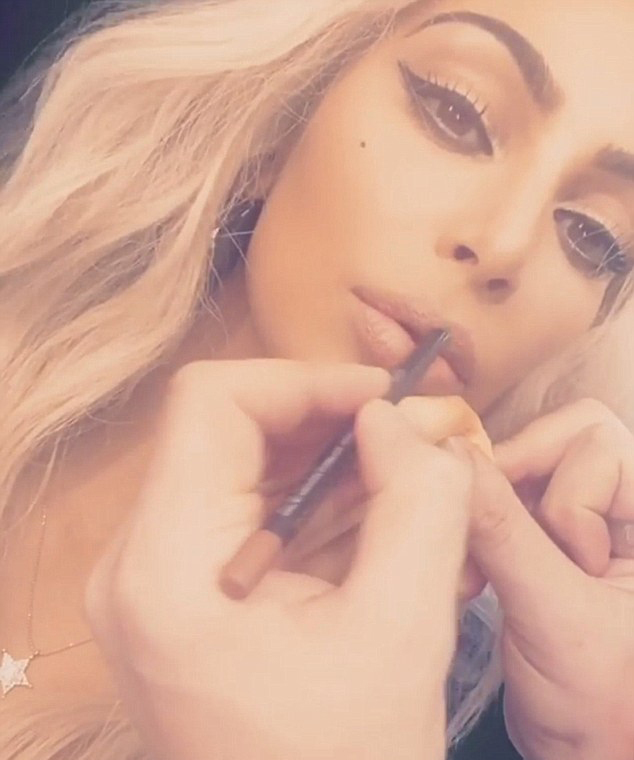 Kim Kardashian showed off light locks. The mother-of-two was wearing blonde hair - which was most likely a wig - as she sat in a makeup chair getting her lips lined by a pro. 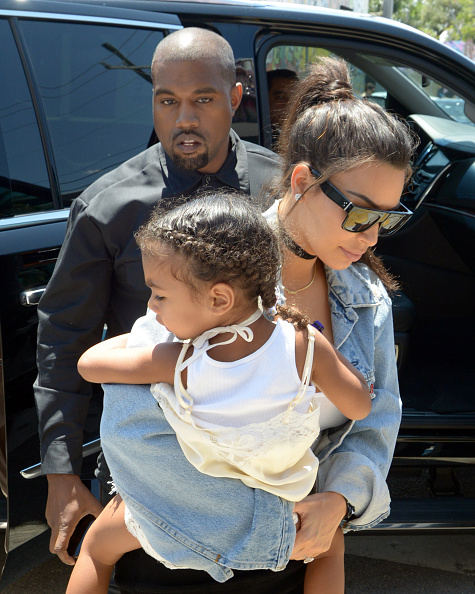 Kim Kardashian West has revealed her eldest child, two-year-old daughter North, is a "little jealous" of her younger brother, four-month-old Saint. 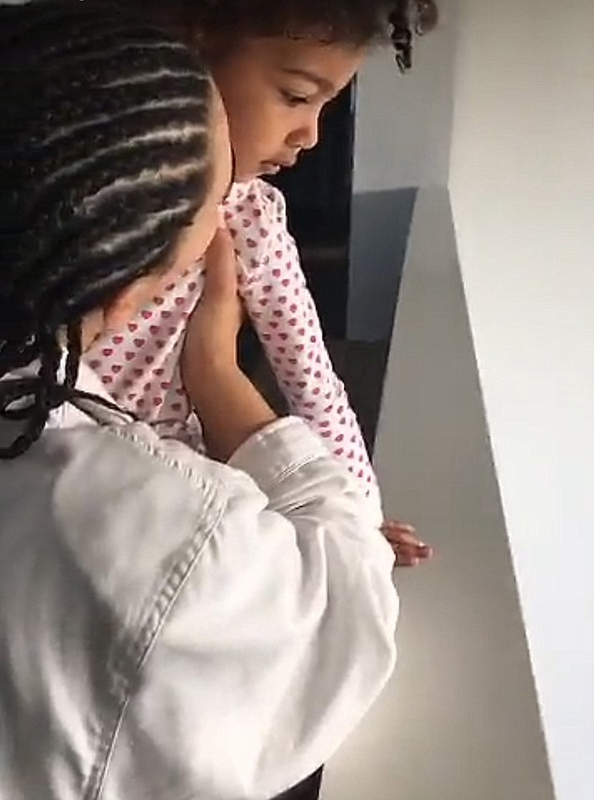 Kim Kardashian West has revealed her eldest child - two-year-old daughter North - doesn't like it when Kim spends time with her young son, four-month-old Saint. She said: "My daughter is still in the little jealous phase and that's really hard for me because she gets so jealous when I try to do anything with [Saint,] so I sneak moments with him or have my husband entertain her, and I have to separate it sometimes. 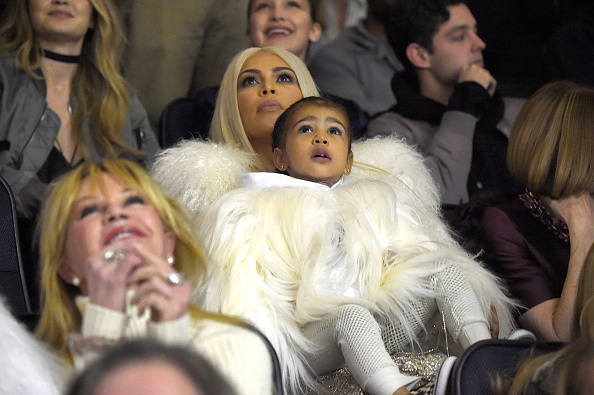 "North gets into the groove and realises that it's all going to be OK. There's enough attention and love for everybody." And the 35-year-old television personality admits she finally feels "comfortable" with herself again following her massive 40 pound weight loss and is hoping the "last 20 pounds fly off". Speaking to reporters at Las Vegas nightclub Hakkasan, she added: "I gained a lot of weight and I have a lot to lose. I definitely feel good to a place where I feel comfortable again and things are starting to fit. "This time I think weight has come off quicker than last time because I kind of learned how to eat better. Last time I worked out a little bit harder. This time I'm eating differently ... I think the mix of the two will really help out this last 20 lbs. fly off. I'm praying." 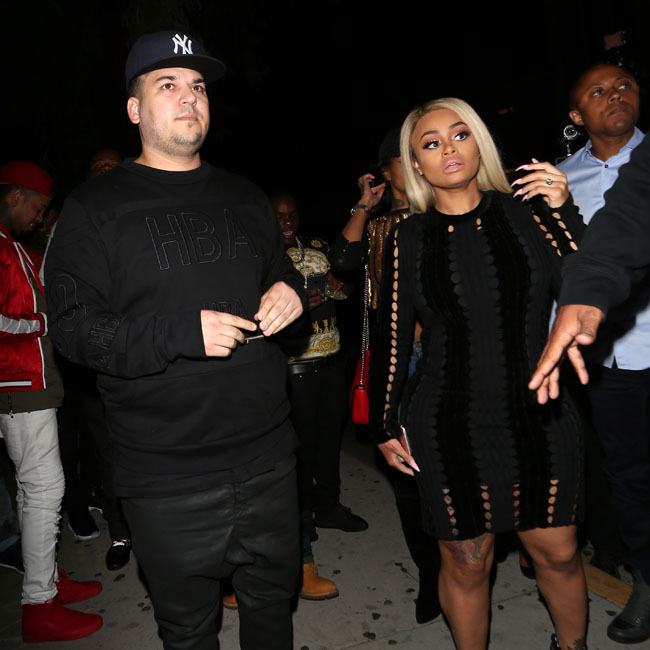 Rob Kardashian and Blac Chyna pulled out of scheduled club appearances over the weekend because she is unwell. The 27-year-old star - who already has three-year-old son King Cairo with ex-boyfriend Tyga - announced last week she and fiancé Rob Kardashian are expecting a baby together and it seems pregnancy has begun taking its toll on her as the couple pulled out of a scheduled event in Atlantic City, as well as another in Los Angeles. In an Instagram post he has since deleted, Rob wrote early on Sunday: "Chyna really wasn't feeling well last night, which fell over to this morning." And Chyna apologised for missing the events and promised to reschedule. In a message which she has also deleted, she wrote: "Sorry LA & Atlantic City. "I really wasn't feeling well LAST night which fell over to this MORNING causing us to miss our flight ,, Rob and I want to apologize for missing these events for we were looking forward to them as well but new dates are coming soon! (sic)"
Atlantic City club Pool After Park complained about a "no show" from the 29-year-old sock designer and his partner. An instagram post read: "Uh Oh a ChyRo No Show!" And Rob's former stepbrother, Brody Jenner, slammed the couple for failing to honour their commitment. He posted: "That's what you guys get for hiring those 2...Sorry not sorry. (sic)"
He later deleted the comment. The loved-up couple - who got engaged last month following a four-month whirlwind romance - announced their happy news on Friday, despite initially planning to do it on Mother's Day on Sunday, because they were worried a member of Rob's family would leak the secret. A source said recently: "The family found out in the last couple weeks. Rob told everyone separately. They didn't have a big family meeting or anything like that." However, the showbiz clan - including Kim Kardashian West, Khloe Kardashian and Kris Jenner - weren't overly thrilled when they were told the news as they were hoping the pair's relationship would crumble before long. 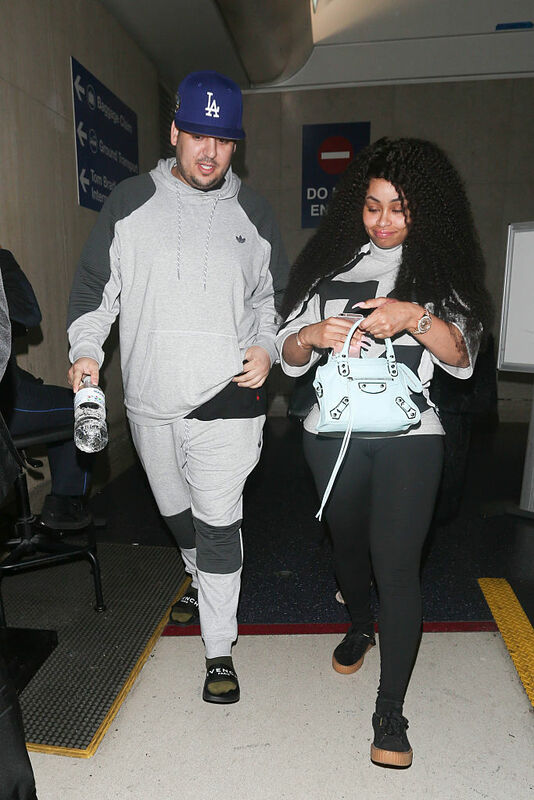 The source said: "When Rob started dating [Chyna], it was like, 'Okay, this is a phase.' And when they were talking about the engagement, it's like, 'But it won't last.' But now that there's a baby coming, everyone in the family knows that this relationship has permanence. Even if it doesn't work out, they're going to be co-parents of this child forever."